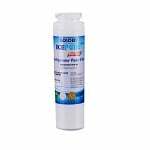 The IcePure RWF1500A is the compatible replacement for the GE PC46783 Refrigerator Filter. 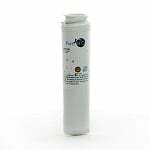 The IcePure RWF1500A is the compatible replacement for the GE AP3997949 Refrigerator Filter. The IcePure RWF1500A is the compatible replacement for the GE 100749-C Refrigerator Filter. The IcePure RWF1500A is the compatible replacement for the GE 100810/A Refrigerator Filter. 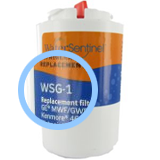 The IcePure RWF1500A is the compatible replacement for the GE 215C1152P0 Refrigerator Filter. The IcePure RWF1500A is the compatible replacement for the GE 35917-MN-1 Refrigerator Filter. The IcePure RWF1500A is the compatible replacement for the HDX FMG-3. The PureH2O PH21110 is the compatible replacement for the HDX FMG-2. This is the Tier1 RWF1061 Compatible by PureH2O. 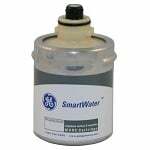 Never forget to replace your GE MWF Refrigerator Water Filter again! 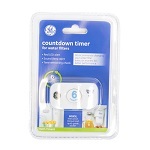 By simply using the GE MWF-TIMER6 6-Month Countdown Timer.